In the run up to Christmas I wish to register my strong support for Cinderella’s application for an extension, allowing her to be present at balls after midnight during the festive period. There have, I’m afraid, been the usual scare stories about this, but Cinderella assures me that she has no plans for a 24-hour ball attendance; the relaxation will simply allow her to spend longer at certain charity events attended by HRH Prince Charming. Last Christmas newspapers were full of tales of balls going on into the early hours, with binge-waltzing, Strauss-fuelled violence, the streets littered with glass slippers and bands of unruly Shetland ponies disturbing the peace and vomiting. These were wildly exaggerated. Let me add that the police have orders to crack down hard on Buttons if he is found in a residential area singing There’s a Hole in My Bucket. The great advantage of flexible ball-leaving hours is that it would avoid the “mad dash” which exists under the present last-stroke-of-midnight system. Health and safety issues are involved here. We know that Cinderella mislaid an item of footwear while racing down the palace steps last year and this could easily happen again. Suppose another guest lost her shoe, twisted her ankle and decided to sue the palace authorities? Already they have felt the need to install handrails and warning notices. Golden coaches which suddenly turn into pumpkins also pose a threat. Road safety experts forecast a dramatic reduction in pumpkin-related accidents if Cinderella’s arbitrary midnight deadline is abolished. Killjoys who predict all-night giddy twirling at the nation’s balls have little to say about infestations of rats and mice in the streets round the palace. Not just any old rodents, but traumatised rats and mice, trying to come to terms with the fact that, for a few brief hours, they were ponies and coachmen. Animal psychologists say they can’t rule out the possibility of a mouse going berserk after remembering its short career in livery. We should also remember how many members of the police force are diverted from their normal duties to help with security when Prince Charming travels round the country in search of the person with the small-enough foot to fit the mystery slipper. These officers would be better employed fighting crime rather than becoming involved in a massive shoe-fitting operation. Granting this extension would remove an anomaly. The Ugly Sisters may remain at the ball for as long as they like and they are now defending the status quo. They just don’t want Cinderella to have the same freedom of choice. It’s just another case of the “do-as-I say-and-not-as-I-do” attitude which is so prevalent today. The last-stroke-of-midnight deadline is an archaic and rigid rule laid down by the Fairy Godmother, who, I would remind you, is not democratically elected. In this day and age we really should have done away with government by wand and puff of smoke. 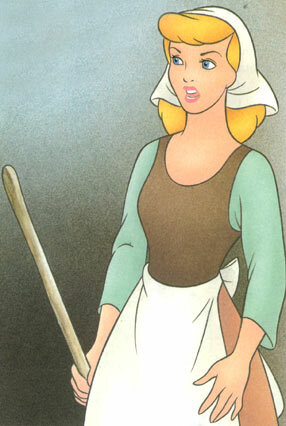 Imposing a curfew to force Cinderella to leave the ball is just another example of the godmother state. These self-appointed godmothers tell us what is good for us, arrive uninvited in our houses and tell us what we can and can’t do with pumpkins. In this case the Fairy Godmother, without proper consultation, experimented with live animals. There’s an element of social engineering here, too, taking the girl from the fireplace, showing her a good time, then snatching it away from her again. You can take the girl out of the fireplace, but you can’t take the fireplace out of the girl. Its a well-known saying.